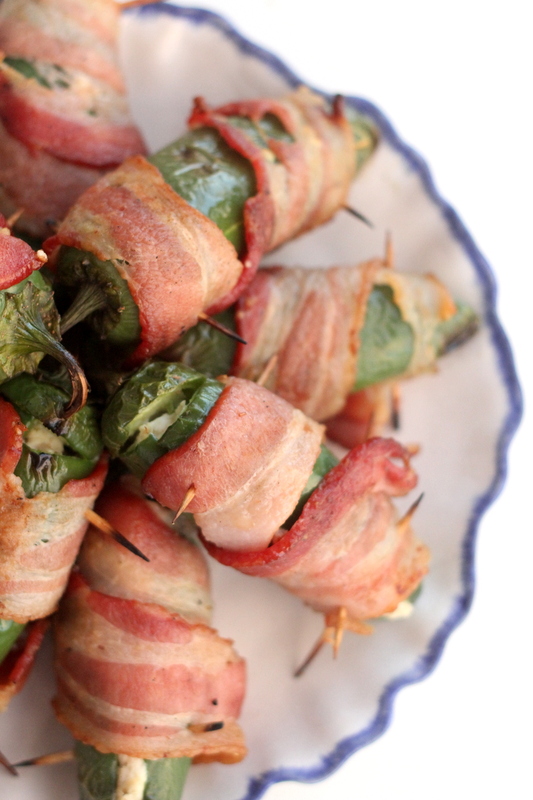 Texas rockets (aka- grilled, bacon wrapped, stuffed jalapeños) are my very favorites, y’all. I love it when Adam grills these up. 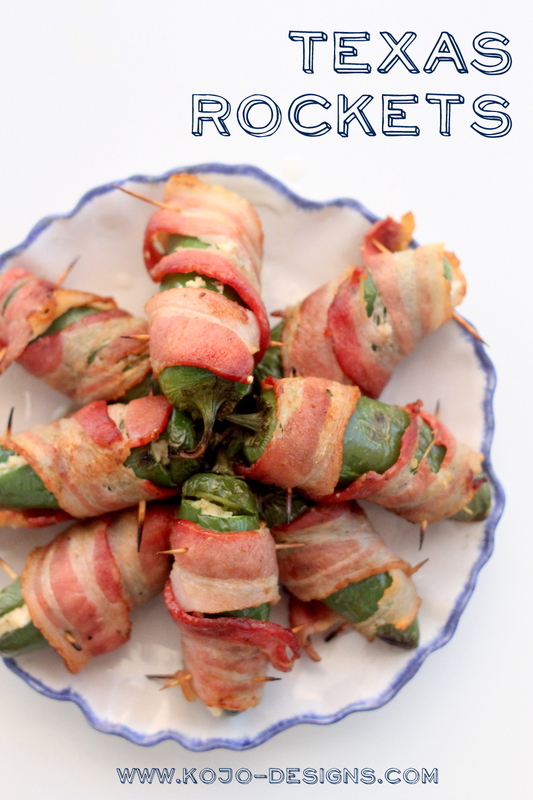 In fact, not only are these one of my favorites, they’re one of those oft-requested barbecue and potluck staples (people always ask us to bring Texas Rockets!). I love having those kinds of crowd pleaser recipes. And even though summer is nearing an end, I think these are pretty perfect in any season. You should probably make them ASAP! Presoak toothpicks in water (for about an hour before cooking- just so they won’t burn on the grill). Slit jalapeños lengthwise (only on one side- not sliced in half) and deseed. Mix together cream cheese, shredded chicken, salt and pepper. 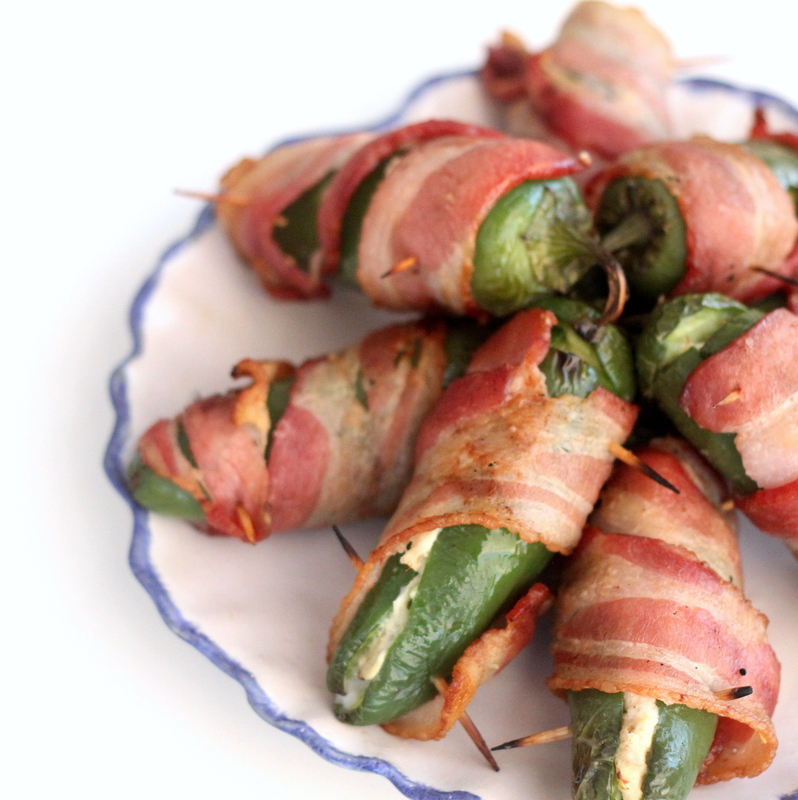 Fill each jalapeño with cream cheese mixture. 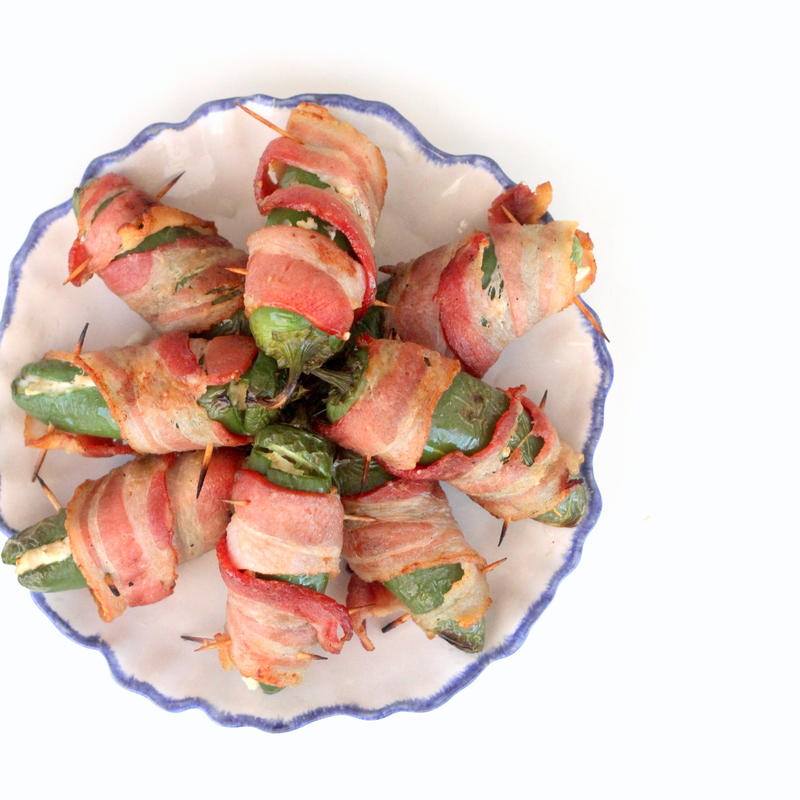 Wrap one piece of bacon around each jalapeño. Secure bacon with two toothpicks (one at the top of the jalapeño and one at the bottom). Heat the grill to medium high. When you place jalapeños on grill, turn down to low heat. Cover and cook, turning every 5-7 minutes until bacon is cooked (be careful to turn frequently enough that the bacon doesn’t catch on fire).